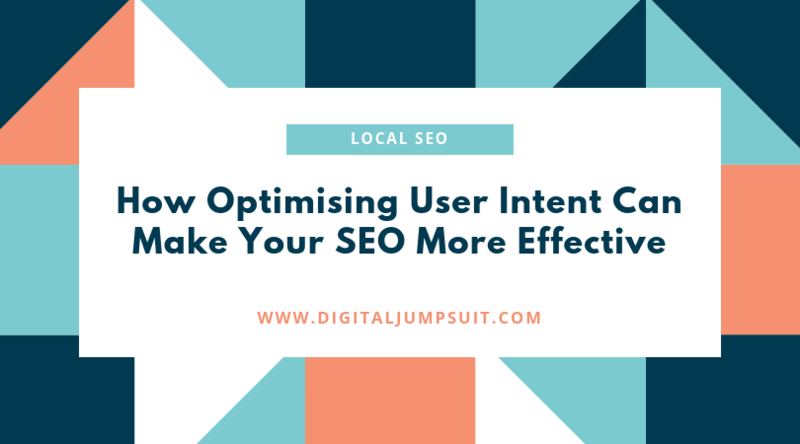 How Optimising User Intent Can Make Your SEO More Effective - Digital Jumpsuit - Marketing Agency & SEO Halifax - Call the experts!! The way SEO strategies are created has changed significantly over the past 10 years, especially when it comes to keyword research and content targeting. You’d plan to target short and generic keywords like “SEO services” and “Digital Marketing Consultant” and your website would cover all the nuances of the topic, but those days are gone. Today, search engine algorithms focus less on your keyword densities when deciding where to rank your website and more on the quality and, most importantly, the relevance of the content on your website in regard to user intent. The first search engine to take this route was, of course, the most popular one, Google. They sought to improve their search accuracy by understanding the user’s intent and hence the concept of semantic search was born. Search engines are now able to provide results that are extremely relevant and accurate to searchers intentions by using concept matching, synonyms and natural language. Now that semantic search is the norm for search engines, it is crucial for digital marketers to take this into consideration when crafting SEO and content strategies to ensure their campaigns are successful. Know – Understand a certain topic, product or service. Do – Execute a certain activity online. Buy – Purchase a product or service. Web – Visit a webpage or website. Local – Visit a local establishment. For example, if a searcher is wanting to learn more about the specifications of a product they have bought or are thinking of buying, their search intent is most likely to be Know. While if someone is preparing to make a decision on a purchase, their search intent is most likely to be Buy. How Does User Intent Impact Your SEO? By gaining a good understanding of your visitor’s intent, you will be able to determine what your target audience is looking for and therefore identify the pages on your website that provide the information to them. One of the best ways to learn about your user’s intent is to use keyword analytics tools. Google has two of their own – Search Console and Analytics, while there are also third-party solutions like SEMRUSH. These tools allow you to find out how users are finding your website and those of your competitors, so you can optimise your targeting. As previously mentioned, keywords strategies now no longer revolve around exact match keywords. They encompass the broad topic that the user intent of your target audience covers. This enables you to focus your efforts on high-value long-tail keywords that have a lot of user intent, which will attract more visitors to your website than shorter keywords. Not only are long-tail keywords more intent-driven, but they are also a lot more niche-specific to your business which means they are easier to rank highly for. When you compare them to exact match keywords, they are more flexible and can contain alternate synonyms and wording that helps when writing content. By gaining an in-depth knowledge and understanding of the user intent of your target audience, you can open yourself up to more personalised content which has become a crucial aspect of effective SEO campaigns. This content will be highly relevant to your target audience and is tailored to their specific user intent. In fact, the Harvard Business Review conducted a study that found that stakeholders who perceived a supplier’s content to be tailored to their specific needs were 40% more likely to buy from them than from a supplier whose content didn’t. This also lines up with another study that reported that 74% of customers feel frustrated when a company’s content wasn’t personalised to the services they were supplying. If you are utilising local SEO in your digital marketing strategy to generate more leads in your local market, you can actually use your user intent to streamline your ideal buyer’s persona. Often, people will use location-based keywords to find businesses within a local area and you can utilise these to work out where your customers are and what they are searching for. An example of this could be, “affordable consulting service for a small business in Halifax”, which is a clear signal of user intent and is tagged with their location. With this kind of information, you can optimise your website content and product offerings better based on this particular demographic insight. 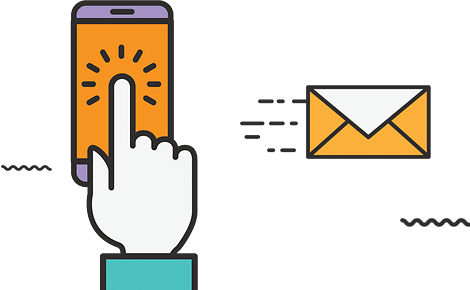 Last but by no means least, user intent can help you to create better landing pages that will increase your website’s conversion rate. This is because of the key characteristics that make up an effective landing page, as they answer a single question or solve a particular problem a user is having – which is often conveyed through a high-intent query that they have used to find your business. If we take the earlier example of “affordable consulting service for a small business in Halifax”, we can see that the business specialises in consulting for small businesses in Halifax and it would be a good idea for them to include that in their landing page copy. However, in order to make a landing page based on user intent that converts, you should craft content that specifically highlights the services you provide and why they are investment-worthy for your target audience. In conclusion, understanding and incorporating the user intent you have identified into your SEO efforts is like hitting two birds with one stone. It will increase the ranking of your website by making it more relevant to your intended users and at the same time enhances your reputation as a resource for useful and reliable content on a specific topic. By achieving both of these goals, you will be meeting the expectations that search engines have for your website, providing high-quality content for users, which is vital if you want your business to succeed in today’s highly competitive landscape.